As citizens of the United States, we are all blessed to have the privilege to hunt every state of the Union. Do not take this privilege for granted, as it can be taken from you. Each state’s Department of Conservation and Natural Resources, or its equivalent, is charged with the duty of establishing seasons and limits for game animals. This duty is especially important for us hunters, as the establishment and enforcement of seasons and bag limits allows us to maintain sufficient populations of game animals to pursue. 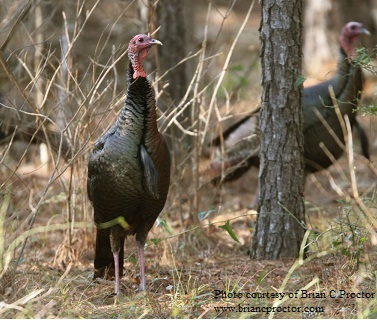 Forty-nine (49) states have populations of wild turkeys large enough to support hunting. All such forty-nine states allow spring turkey hunting. Prior to the recent abolishment of Alabama’s fall turkey season, forty-one (41) of these forty-nine states allowed fall turkey hunting. Fall turkey hunting has been historically allowed in six counties in my home state of Alabama. However, on March 9, 2013, the Conservation Advisory Board to the Commissioner of the Department of Natural Resources of Alabama voted to abolish Alabama’s fall turkey hunting season. No valid reason was given for this drastic measure, and, I submit, no valid reason exists. Just like that, with no warning, a privilege that myself and thousands of others enjoyed was stripped from us. We are taking every measure possible to fight the abolishment of Alabama’s fall turkey season. Please take 15 seconds of your time to sign a Petition we created to attempt to have Alabama’s fall turkey season reinstated by clicking here. It is crucial for us turkey hunters to stand up for our right to enjoy the sport we love. I have experienced firsthand how it feels to have that right taken away. Unless we are successful in our fight for the reinstatement of Alabama's fall turkey season, I will not be able to pass down this tradition to my children as my father did to me. Because of that, and in addition to the reasons specified above, it is a fight most certainly worth fighting for.